Bridge of Spies (2015, Steven Spielberg) is both an entertaining thriller about the Cold War, and a meaningful lesson about citizenship. If we are to treat Steven Spielberg’s Bridge of Spies in the same manner children are taught to handle any story—like a fruit to be squeezed for juicy moral lessons—we do not have to look further than lawyer James Donovan’s (Tom Hanks) first scene for a bountiful first harvest. In some dim, smoky venue that is definitely not a courtroom, Donovan, an American lawyer representing an insurance firm, discusses an accident with a claimant’s attorney. The incident under consideration involves a single vehicle crashing onto five motorcycles. The question they are debating is, does it constitute a single accident, or can the claimant seek damages for five accidents? Donovan, confidently delivering his sober arguments, carefully points out that the person who was in the offending vehicle is not his “guy,” but rather a client of his actual guy, the insurance firm. It is as if he is persuaded that the first order of things in any legal discussion is the establishment of identities and affiliations. Then he makes the crucial point: if the accident were to be counted as more than one insurable incident, then all accidents would be liable to be arbitrarily counted; then insurance firms would lose money, the industry would be undermined, and nothing would be insured anymore; “No one would be safe!”, he ends emphatically. The scene, intially, seems nothing more than character-establishing philosophical small-talk. What is an insurance case, after all, compared to the issue of national interest that is tackled in the rest of the film? Donovan is chosen by the CIA, at the height of the Cold War, to be the “credible” legal counsel of suspected Soviet spy Col. Rudolf Abel. After some hesitation in accepting the case, Donovan pours out his passion into the thankless job, but all his efforts are useless for a case that never needed a trial in the eyes of a paranoid, prejudiced public. Even his family suffers, as people turn suspecting eyes onto a man who is only too willing to help the ‘enemy’. And then, in Soviet territory, an American reconnaissance pilot is shot down and captured. Shortly after, in Berlin, a Yale economics student is caught on the wrong side of the Wall. Suddenly, we realize the value of Donovan’s integrity and forward thinking: now, thanks to Donovan’s contribution in preventing Col. Abel’s execution, the Americans have someone they could barter for the freedom of the pilot and the student. 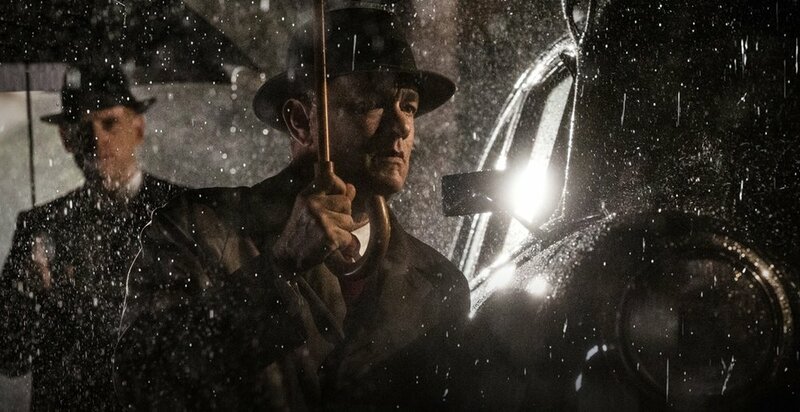 The moral lessons of Bridge of Spies come from how it connects Donovan’s work as an insurance lawyer—a domestic, unexciting affair—to his unanticipated role as negotiator in the midst of the most threatening conflict in human history. These are moral lessons crucial to citizenship, and despite being forged against the backdrop of the Cold War, remain relevant to our contemporary world. The first is about counting. It comes initially as a question rather than a moral lesson: can we measure the life and liberty of an old man, and weigh it against those of two, young men? What weight does a fledgling state (East Germany) hold in the Cold War of two superpowers? Donovan negotiates—demands, in fact, and in the process risks the entire negotiation—the exchange of two Americans for one Soviet citizen, and yet he does not really count, as he did with the case of the five motorcycles. The numbers do not matter, because for him, he was giving exactly what is due, what is just, for all the parties involved. Justice is a form of counting that goes beyond numbers. The second lesson, perhaps the more important one, is big-picture, forward-looking thinking. Only Donovan could see that it was not the Soviets he was defending when he represented Col. Abel. He foresaw that it was not just Col. Abel who was his “guy”; in a time of crisis for a country gripped by paranoia, only he could see beyond identities and affiliations. What he saw as what he was actually defending were all the values that his country and its Constitution stands for: life, liberty, honor, all the various virtues that keep the world humane in spite of a vicious Cold War. As he did when he warned of the potential collapse of the entire insurance industry should we start counting one accident five times, it was Donovan who foresaw that earnestly defending the life and liberty of one suspected enemy could someday save the lives of so many others. The film’s tagline goes, “In a world on the brink, the difference between war and peace was one honest man.” Despite the statement’s grandiosity, Bridge of Spies convincingly presents a very good case for it.